I don't take this MDM lady terribly seriously (can you really take a 'PR consultant' prophetess seriously?) but I have to concede she has a gift for reading the 'signs of the times'. It is, as the Holy Father warned me against, something I sometimes look at out of a sense of 'curiosity'. Is she right about the Comet and the Warning? Time will tell. Forewarned is, well, forewarned. I mean, its not as if she's the first 'prophetess' to suggest such things. Lawrence, you prompted me to revisit the Sky and telescope website! probably one of the most authoritative astronomical websites. To my surprise, there are 4 comets in the sky at the moment of which two Comet Isom and Comet Lovelace are visible with binoculars and can get brighter. The other two, Comet Encke and the other unnamed are much fainter. 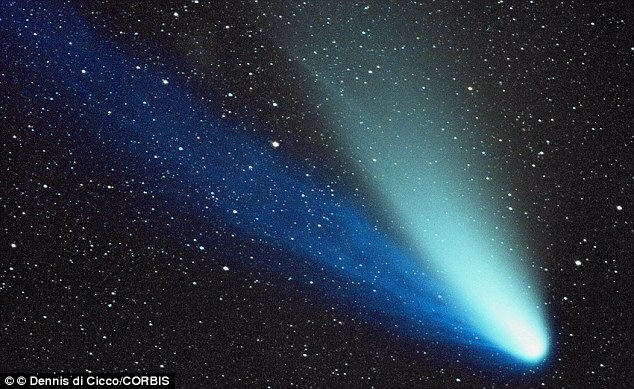 I love comets! Please Lord send us more! MDM might come up with a new astrological tool!